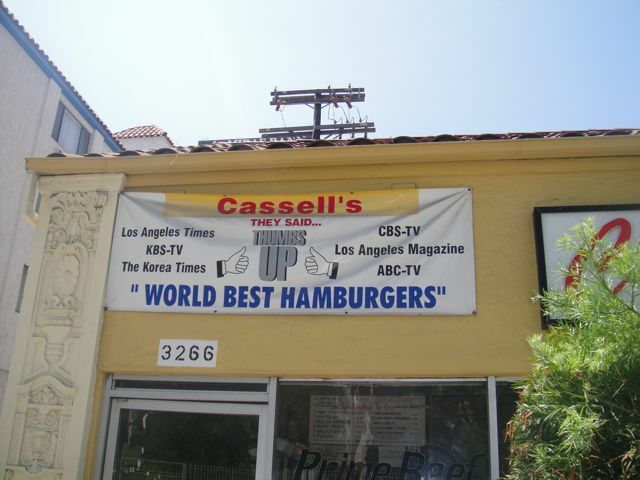 This is my favorite burger in Los Angeles – in fact I have been known to dream of Cassell’s and somehow always find myself chopping down on one the next day. 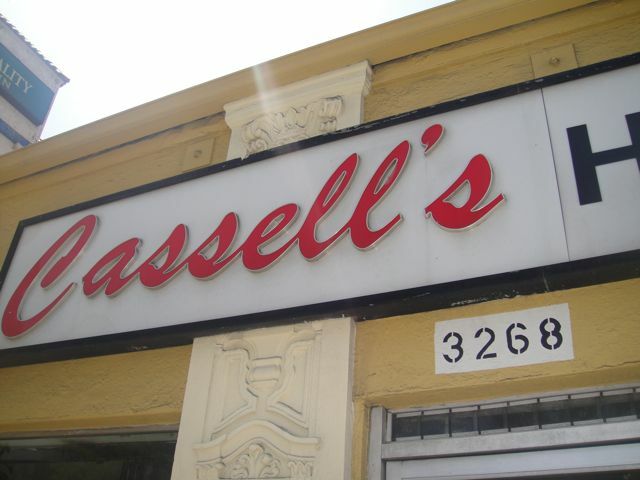 Since 1971 the roving reporter has used every excuse there is to go to Cassell’s. It was owned by Mr. Cassell who died last week. He sold to a Korean gentleman about 15 years ago. The quality is so high it is apparent from the first bite. 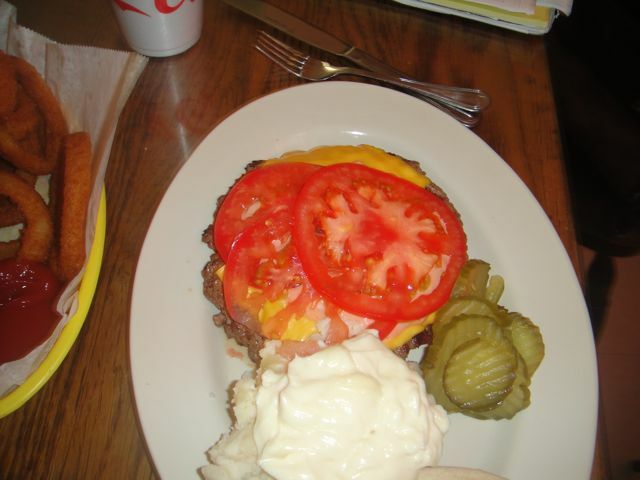 Home ground Mannings beef, home made potato salad and home made mayonnaise…if you’ve never had home made mayo, you don’t know what real mayo is and with this potato salad, lovely sliced tomatoes and the burger…it is heaven. I say the very best in LA…forget all the fancy burger joints…this is the best–nothing fru fru just great meat grilled to rare perfection. 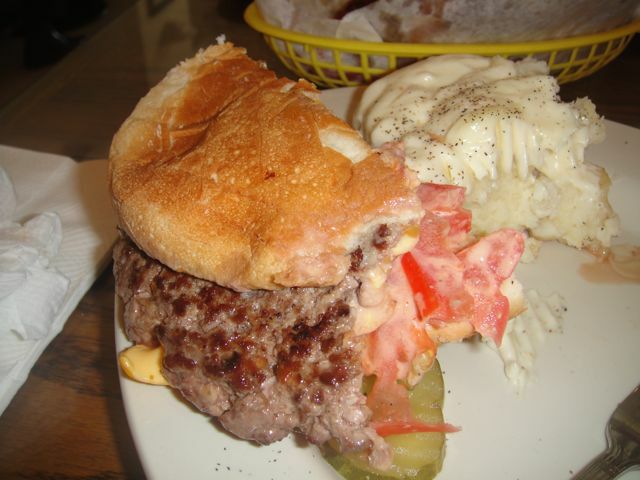 The 100-percent USDA prime beef is ground fresh daily, the patties hand formed. Everything is cooked to order. You order at the counter, choosing either the 1/3 pound or the 2/3 pound burger with or without cheese. The rest of the toppings you add yourself once the burger is grilled and on its toasted bun – options include hand-leafed lettuce, beefsteak tomatoes, onion slices, ketchupy relish, homemade mayonnaise and homemade Thousand Island dressing. I was with Mattatouille of food blogger fame and this was his first foray at Cassell’s – he wimped out with a 1/3 pounder. I, on the oher hand, had the 2/3 pound burger. We then stopped at the original Scoops so Matthew could show me the operation. He will be opening a Westside Branch! 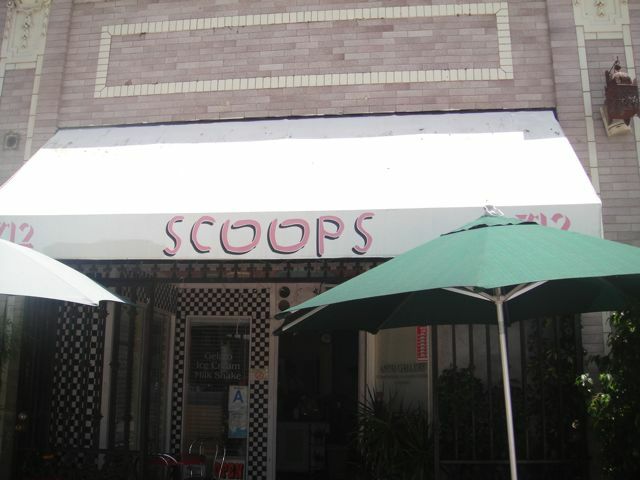 You read it right, Scoops is expanding to the west side! 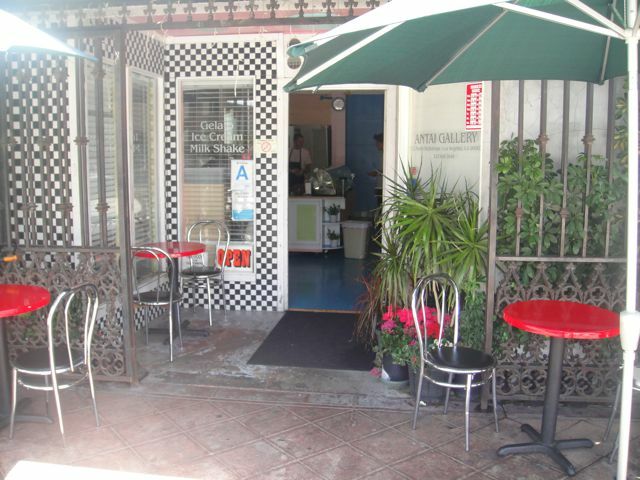 The tiny Hollywood ice cream shop known for crazy flavors from Brown Bread to kimchi will open another location near Culver City. 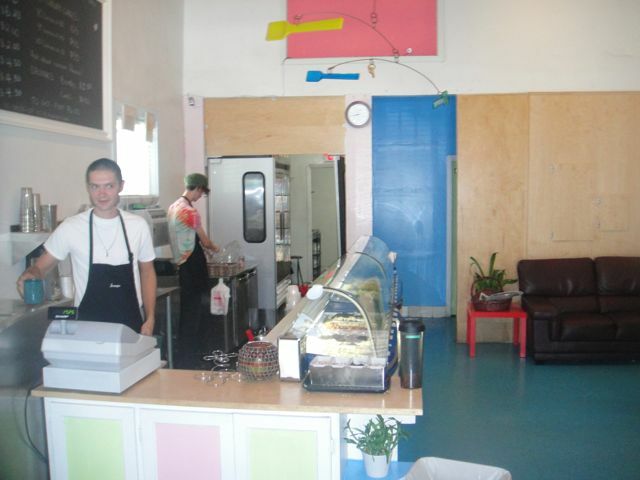 Scoops Westside will actually be opened not by Tai Kim, but rather by food blogger Mattatouille.com aka Matthew Kang. 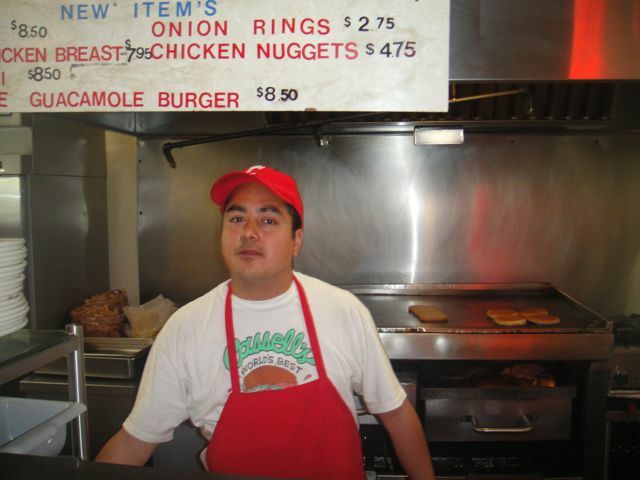 Considered by many to be the best burger in LA. Definitely one of the freshest. 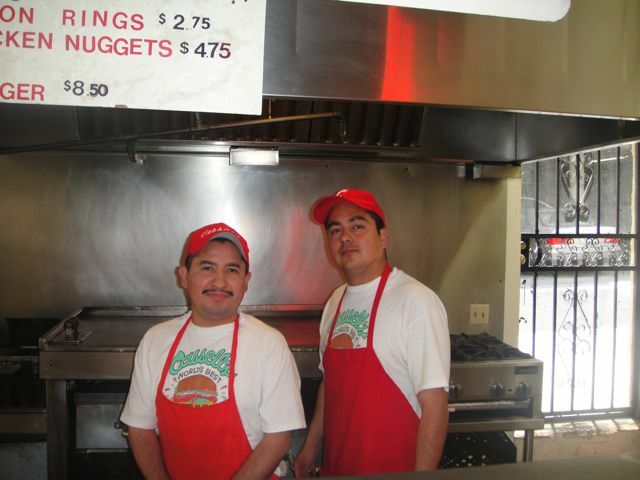 The meat is ground fresh daily, the patties hand formed. The mayonnaise and thousand island dressing are home made. Everything is cooked to order. 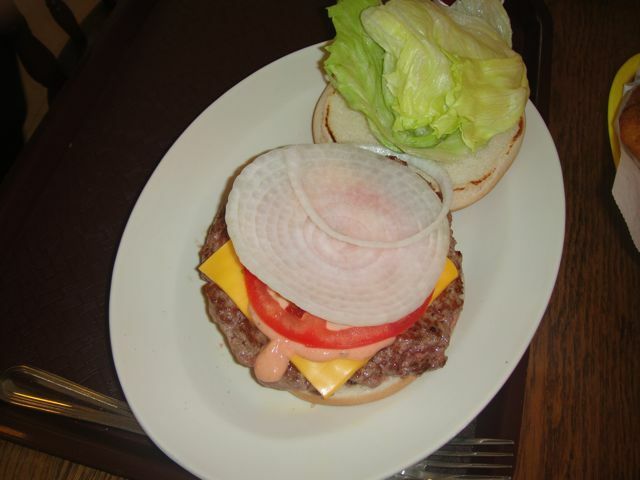 Customers dress their burgers as they want. 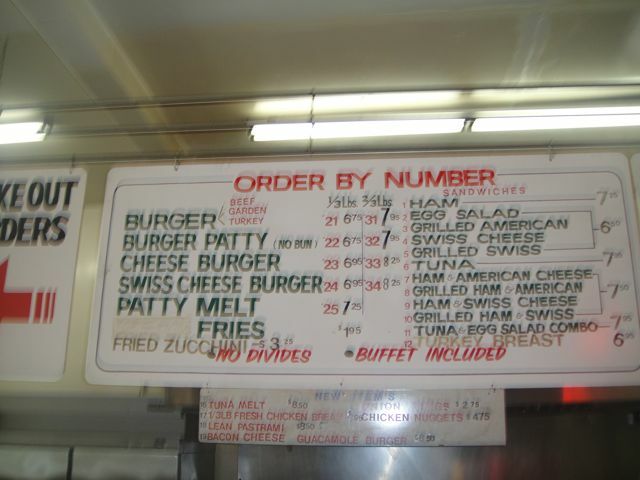 There are two sized burgers – 1/3 pound and 2/3 pound. I’d recommend the bigger burger. 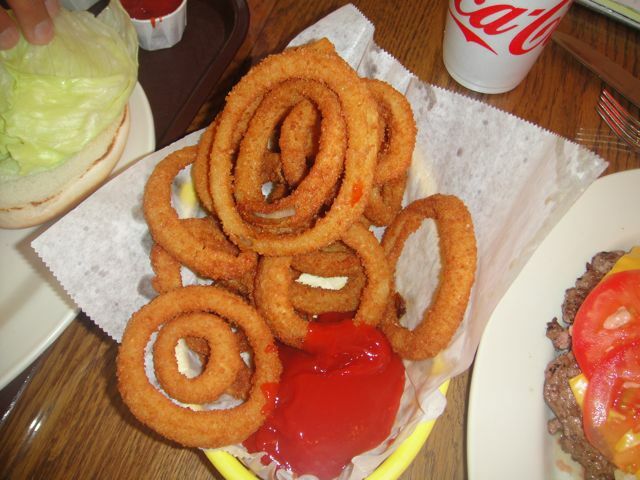 Holds its own better with the bun and condiments.